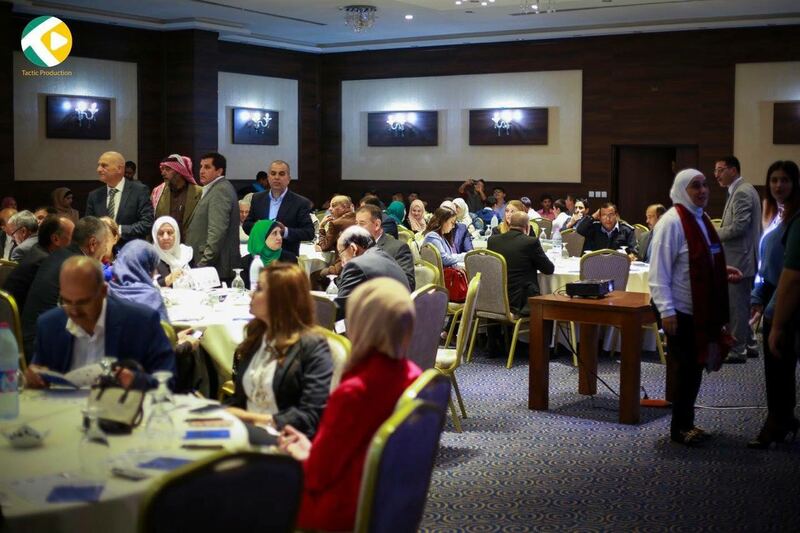 Four SCN member municipalities have officially launched local Prevention Networks in Lebanon and Jordan, with support from the Danish Ministry of Foreign Affairs under the regional Strong Cities capacity-building programme. Building on two years of engagement and partnership between local leaders and community members to establish effective prevention and resilience units at the city level, this year’s launch events were formally opened by local mayors to widespread community support. For its first activity with the local community, the Majdal Anjar Prevention Network organised a conference on the challenges that face education and religious discourse in Preventing Violent Extremism (PVE). 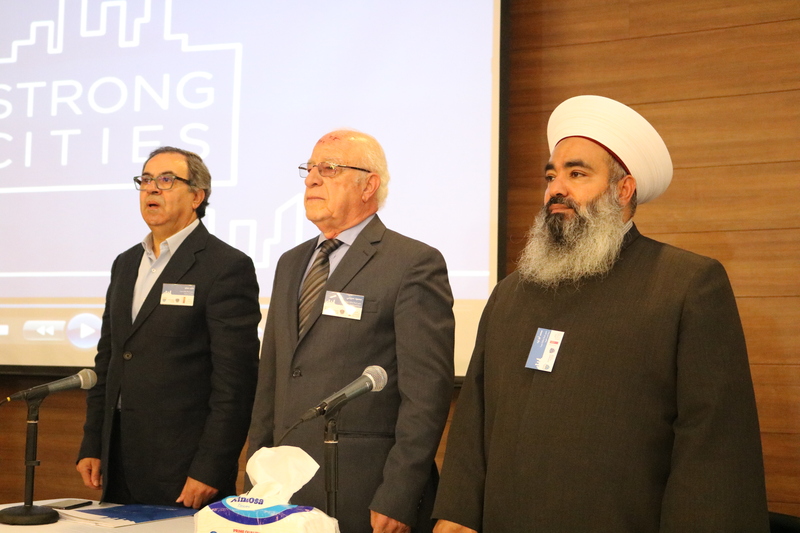 The conference served as a Prevention Network official launch and took place at the Azhar center of the Biqa’ valley and was inaugurated by the Mayor of Majdal Anjar, Mr. Saeed Yassine, and the Mufti of Zahleh and the Biqa’, Sheikh Khalil al-Mays, who reaffirmed his support for the Prevention Network. Speakers included the Director General of Higher Education in Lebanon, alongside religious and academic scholars who engaged in a lively discussions emphasizing moderation and promoting tolerance as key elements of PVE and community resilience. 300 guests attended the event, demonstrating the strength of local community interest and support for the work of the Prevention Network and locally-coordinated efforts to prevent violent extremism and build peaceful, cohesive communities. The official launch of the Irbid Municipality Prevention Network was held in King Abdallah II Gardens on 20 October, 2017, as a public event attracting more than 500 participants, from various local communities within Greater Irbid Municipality. Two Members of Parliament were present and uniformed and civilian police were deployed to ensure adequate security whilst Mayor Bani Hani formally opened the event, emphasising that the security and safety of local citizens is his first priority. He acknowledged that the Municipality was best positioned to protect youth from all forms of extremism and violence and thanked the Danish MFA and the Strong Cities Network for their cooperation and support. The official launch of the Saida Prevention Network took place on 5 October 2017 at the main building of Saida Municipality. The event was inaugurated by Mayor Saoudi and attended by approximately 150 invited participants including a variety of key stakeholders such as religious leaders, internal security forces, Southern Command, Anti-Narcotics Police, Islamic charities, local NGO platforms and representatives of Palestinian entities from within the nearby Ain Al Helweh refugee camp. On 11 October 2017, approximately 200 invited participants attended the official launch of al-Karak Prevention Network, formally opened by the Mayor. Representatives from Ministry of Municipal Affairs, Ministry of Social Development, and the Ministry of Awqaf and Islamic Affairs joined local faith leaders (Karak has one of Jordan’s largest Christian communities), local police and other community representatives as well as civil society to welcome the official launch of al-Karak’s Prevention Network. 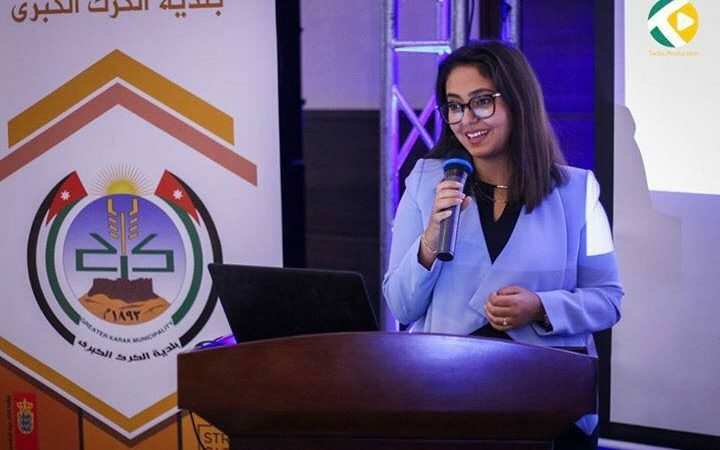 In his openings remarks, the newly elected Mayor Ibrahim al-Karaki, Jordan’s youngest mayor, welcomed the Prevention Network in the Municipality. He expressed his gratitude for the support of the Danish Ministry of Foreign Affairs and described the Prevention Network as an agent of peace and social stability.